Last year I took my son out to Death Valley for a day – and night – he loves to be in hotels! 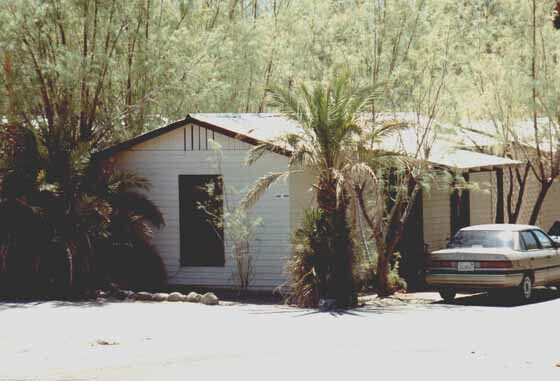 We stopped in Stovepipe Wells for the night and continued on to Furnace Creek the next day. This trip was done on the ground but it still reminded me immensely of a research mission the custodian of the Logs of JD Flora and I conducted many years ago. I reported about that mission on the web in something that today would be called a blog. The pages are still there but hidden in the deep crevices of the internet, so that I though I dig this all out and present it here again – on a real blog. What!? You don’t know who J.D. Flora is? I would say that you better find out. Otherwise this story will not make very much sense. I will wait here until you are back ……. So, now you know our hero. You also know or will find out that Dr. Joachim Steingrubner, the lucky person who found the logs of J.D. Flora and I went onto a mission to follow the tracks of our hero. 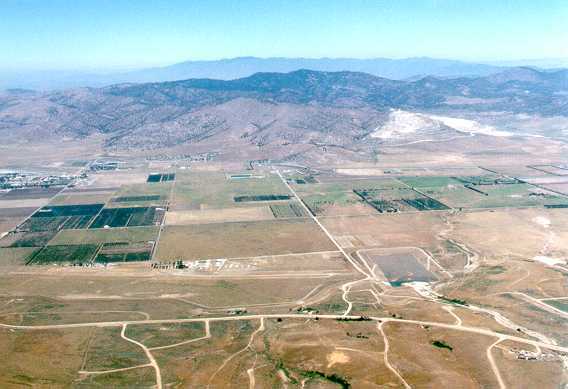 From the logs we learned about J.D.’s one flight to Tehachapi, Mountain Valley. There, on his heading of 10 degrees at a distance of 12 miles he encountered the unexplainable – at least for us. Will we ever find out what happened? On another flight J.D. 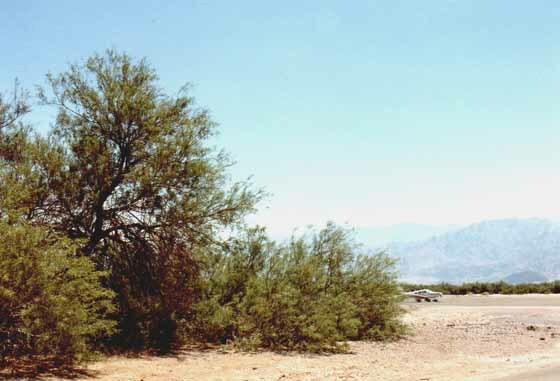 Flora, or Jetty, how he is now sometimes called by his fans, made a flight to Stovepipe Wells and Furnace Creek, again with unexplainable but steamy events happening. Dr. Steingrubner as the historian and chronist as well as the researcher of the J.D. Flora logs decided that a mission was in order to follow the trails of the subject of his research. I was to participate in this project as the pilot in command. The interested reader can follow the trail on a World Aeronautical Chart. 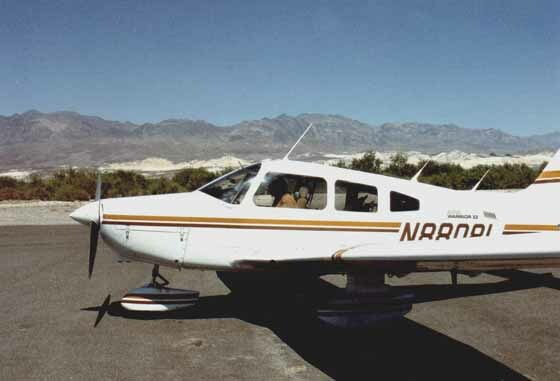 On a fine sunny morning we met at the Pilot’s Co-Op at Burbank airport, ready to follow the trails of J.D. Flora. SFYNX-RA3> Tehachapi for a snack ? JDF> consider this. Any reason for this ? 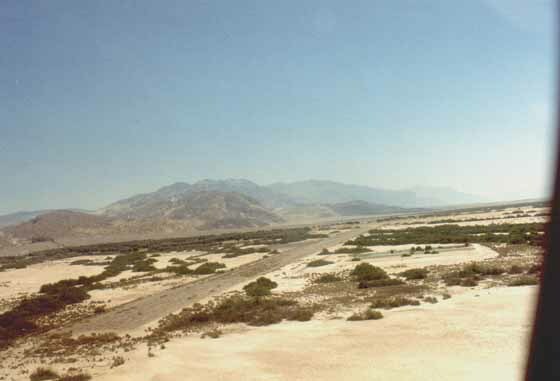 SFYNX-RA3> landing strip in the desert between two small hills. JDF> Will see... so, but what's the purpose ?? That should be not a big problem. The only unusual aspect is that the charts really do not show any landing strip in the area in question. We know that J.D. in fact found and landed on the indicated airstrip, but unfortunately no progress has been done in decoding the time lock so that we still don’t know what really happened and how J.D. returned. We only know that he survived, so we were in good spirits. 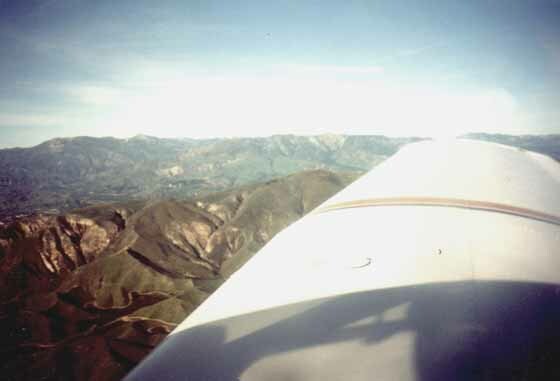 Preflight, engine start, clearance (Golden State Departure like usual), and off we were into the blue yonder. Climbing up to 4000 first to get over the mountains just East of the Newhall pass. 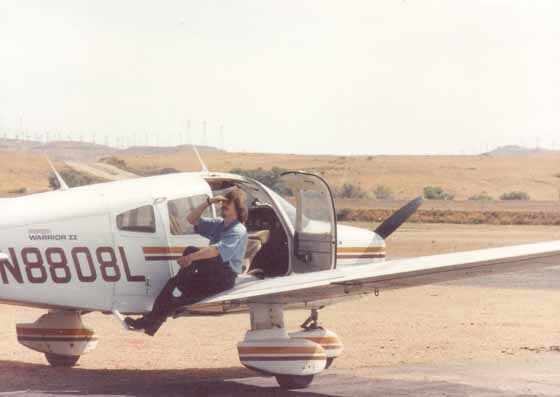 Getting the nose up some more lining up for Agua Dulce, giving a mental wave to one of my very first ‘other’ airports during primary training. 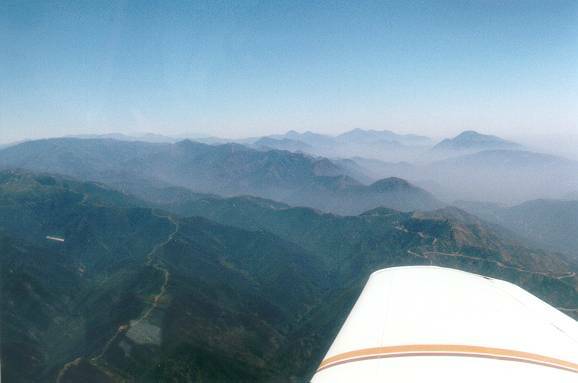 Climbing out more towards the north east to clear those peaks and catch a nice glance at the San Gabriel Mountains to our right. 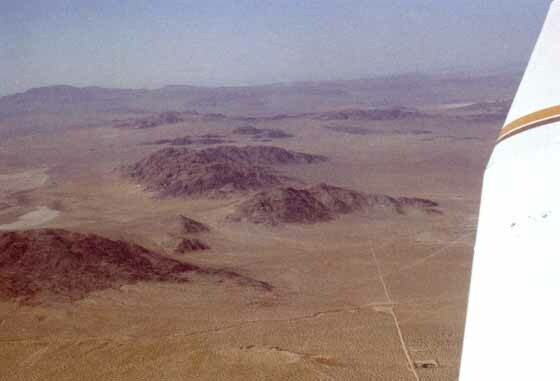 After we clear those mountains we see the huge Palmdale Airport off to our right. Big, but mostly useless for me because it’s an Airforce installation. But only ‘mostly’ useless because during my instrument training that was a good place to practice approaches. I guess these guys in the tower and on approach were pretty bored and probably glad for any Angelino pilot who came by and needed their help. My instructor at this time, Wyn Selwyn – wonder what he is doing now – answered my question of what would happen if I would actually touch down there with: They would nicely invite you in, offer you a cup of coffee and then give you this half foot stack of forms to fill out. He should know – he was a pilot in the army. 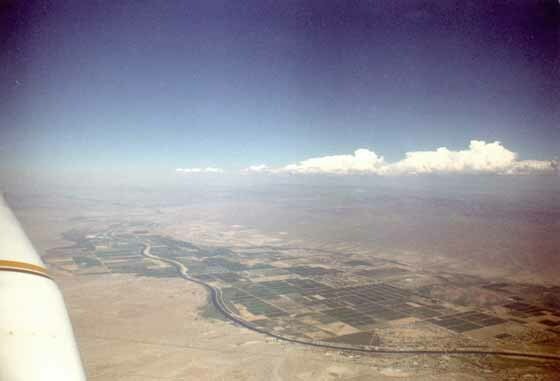 Then turning north getting into the real desert that can be really green if it gets some water as for example from the California Aquaeduct. After that a straight loran course to Tehachapi, Mountain Valley. Our plan was leave out the landing in Mountain Valley and to cross it and head straight to the mystery target 12.5 miles zero-one-zero. But it was late enough to justify an early lunch so we dropped down and had some chili and banana bread watching some gliders being helped up into the sky by these sky tractors – boy, do they really look like tough tractors. 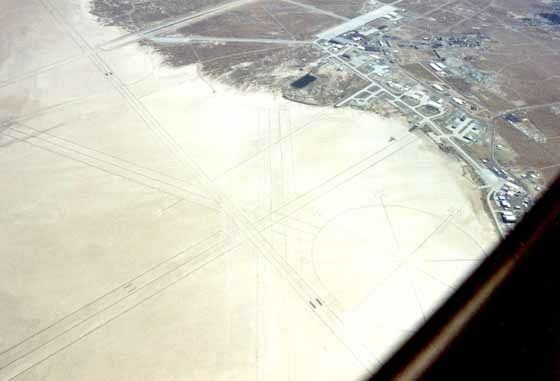 Then looking north into the area where there should be this mysterious air strip. Taxi down to the end of the runway, full power and a practice for soft field takeoff. It’s not really soft, but more oiled gravel – still, you don’t really like to do this for long if you are the one who has to pay for the maintenance. Liftoff, and a quick rocking of the wings abeam the glider flight school to say thanks. We set the loran to all zero on leaving the airport and head zero-one-zero. When the readout shown 12.5 miles the view confirms what the maps had told us. Still, we circled in bigger and bigger circles but could not make out anything that is or might have been an air strip. Somebody really has to decode this googledigoog in the logs one of these days. So it was off then to our second target. 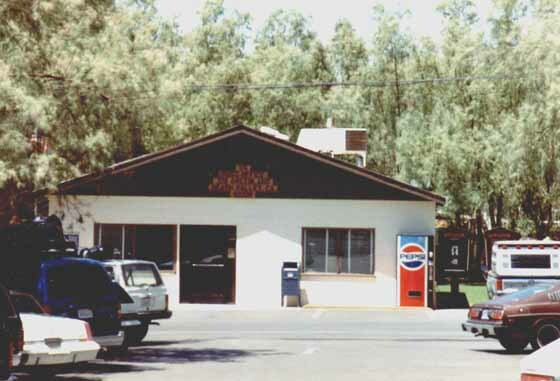 Stovepipe Wells. We passed California City and did not have to maneuver too hard through this narrow corridor because we got a clearance to enter the MOA and could fly straight towards our goal. 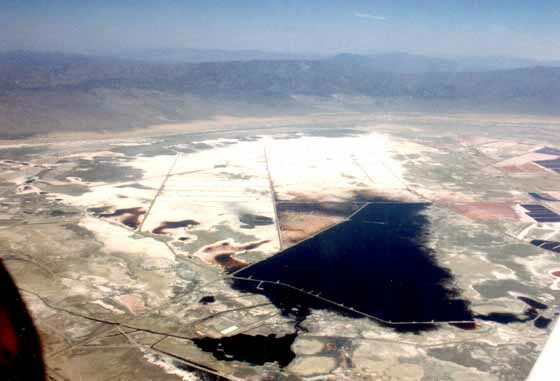 Closing in on Death Valley we passed something that surely looked like salt lakes but we were not sure if they really were and we also did not want to stop there to taste. 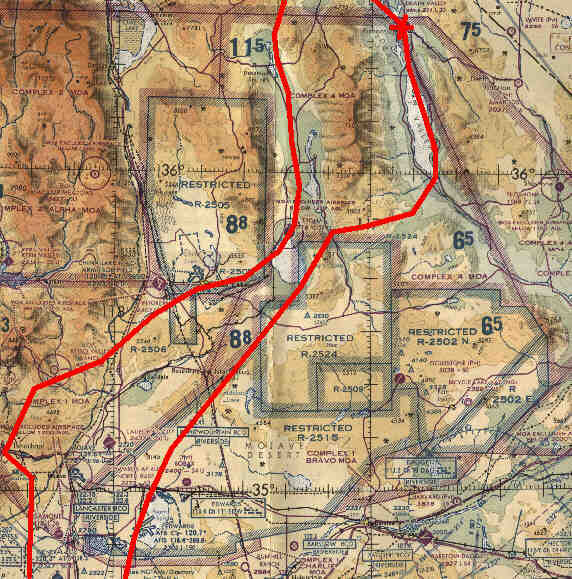 Soon we enter Death Valley, fly up the western valley north hound and then around the bend crossing Stovepipe Wells to take a look at the place of JD’s steamy adventure. Nothing really to see down there except a few parked planes. And as it’s better to get some fuel for the flight back we turn south heading for Furnace Creek. 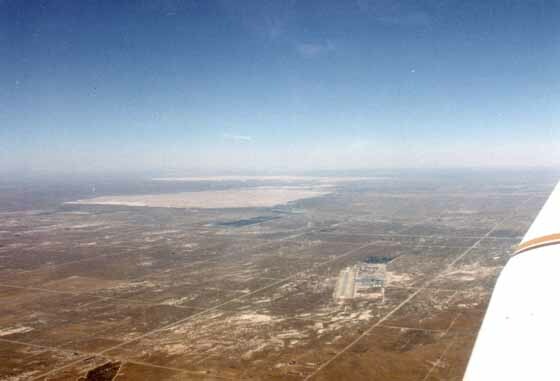 Soon we make out the Death Valley airport and soon are on base turning final. Shortly after that we turn final and ten minutes later trusty 08L is tied down in the strong wind and we are picked up by a courtesy van and taken to the resort where we hope to find a trace of JD Flora. In the lobby we talk to an old woman who remembers this nice man who gave her such a generous tip and she also recalls the cabin where he stayed and she kept particularly neat for him. She wants to know what happened to this real gentleman, but we have to tell her that we actually are the ones looking for information. It was time for us to head back, pre-flight and ready to take the desert once more. 08L has the biggest trouble climbing in this hot weather even though – and this was a first – her altimeter was well below zero before takeoff. 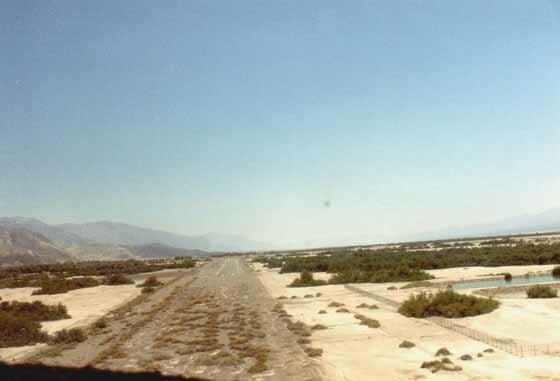 But we manage to get over these ranges south of Death Valley and as soon as we can reach what’s now Joshua Approach we ask for and get a clearance through the MOA and head straight back towards Burbank. 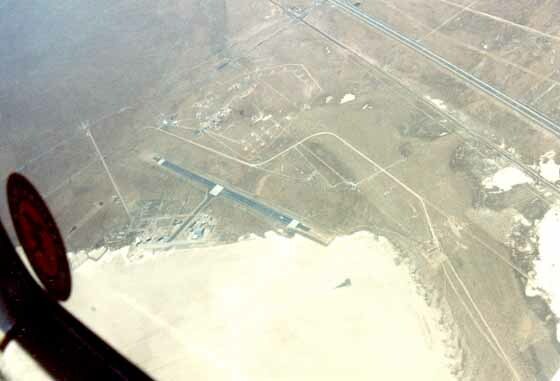 We cross Rosamont Airport and shortly thereafter admire the big runways and markings at Edwards Air Force Base – the alternate for the space shuttles to land when the weather is not good enough for them in Florida. Things start to look very familiar again now and soon we start to let down and are in our close home territory. This entry was posted in Activities, Diary, Fun Stuff, Stories and tagged aeronautical chart, burbank airport, California City, custodian, death valley, Death Valley airport, Edwards Air Force Base, furnace creek, jd flora, Joachim Steingrubner, Joshua Approach, Mountain Valley, Palmdale Airport, pilot in command, researcher, Rosamont Airport, San Gabriel Mountains, SFYNX, stovepipe wells on January 23, 2011 by Merlin Silk.